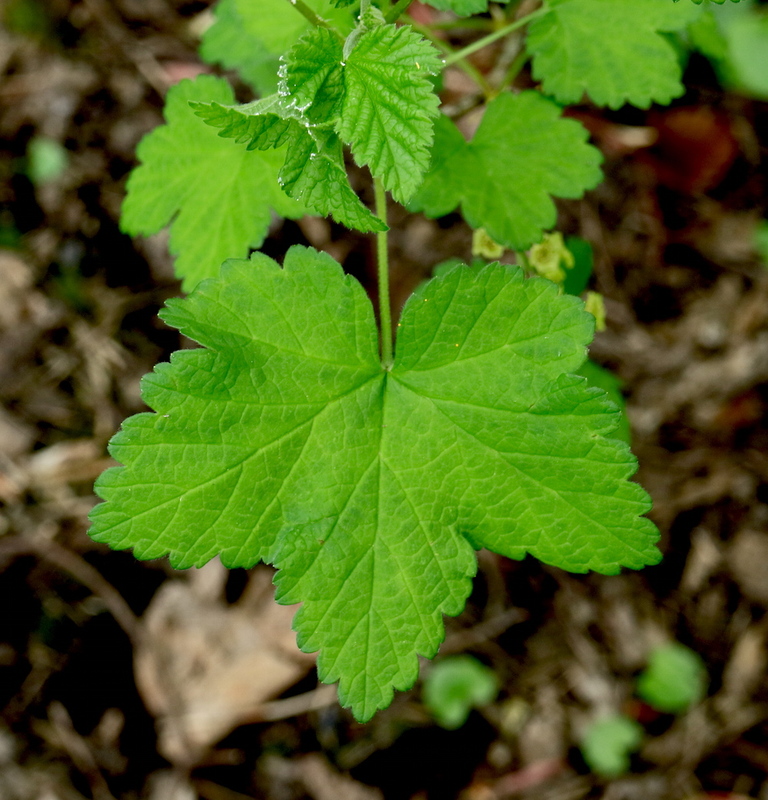 We have six species ‘in the wild’, although one is a garden plant planted or escaped, and in all the others any ‘natural’ distribution has been markedly augmented by plantings and escapes. 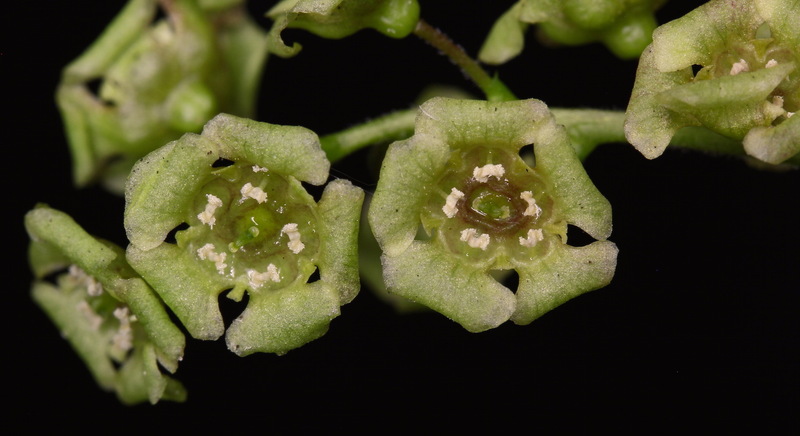 There is one rather awkward pair to identify (Red vs. Downy, below), but the others should be straightforward in flower and in fruit. 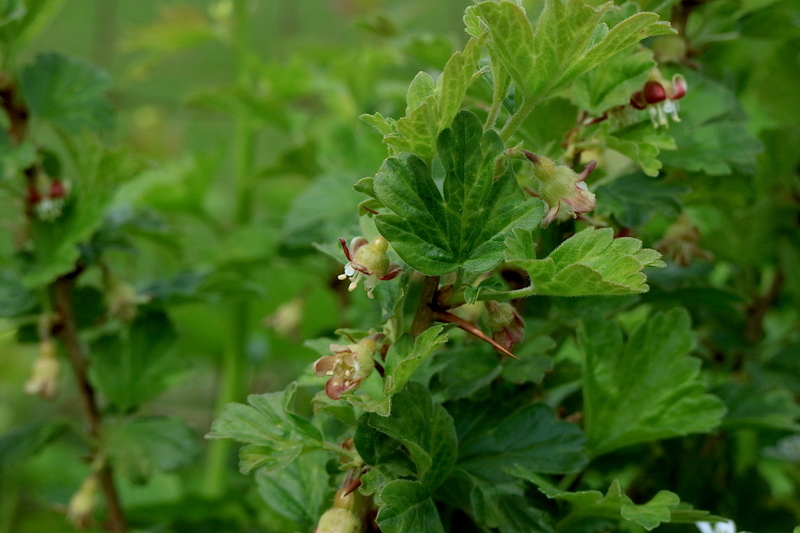 Little needs to be said… makes a large bush, very familiar, and usually the first currant to flower in early spring, uniquely bright red. Fruit is a small dull-black berry. 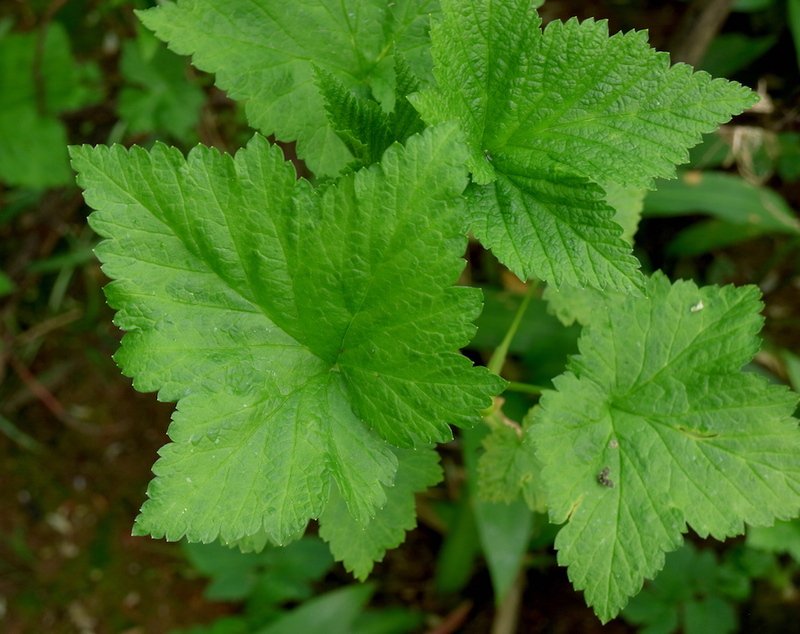 Leaves maple-leaf shape, downy at least below, fragrant when rubbed, although perhaps less pungent than Black Currant. 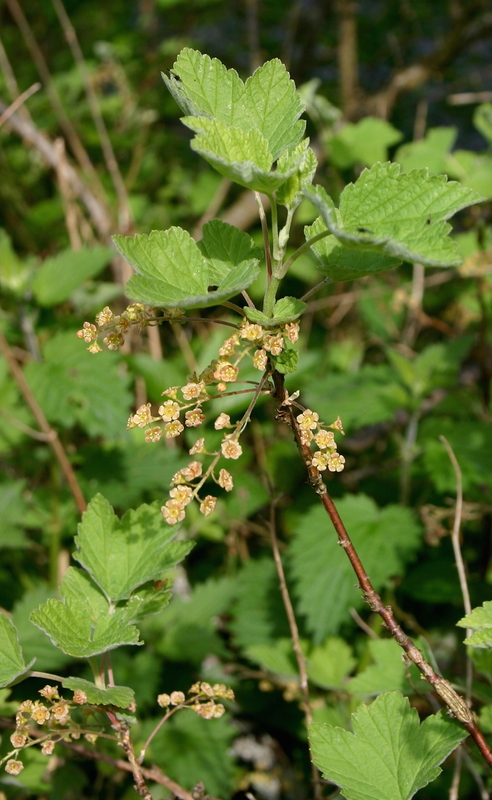 In shrubberies, etc., but also self-sown on riverbanks, track-sides, waste ground, etc. 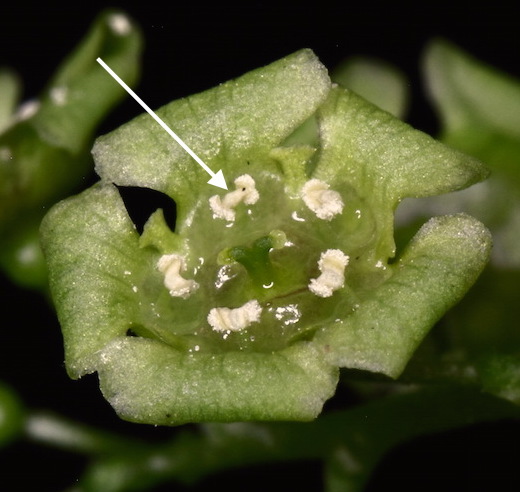 Probably more widespread now than indicated in A Flora of Cumbria: do record plants where apparently not planted. Native to western North America. 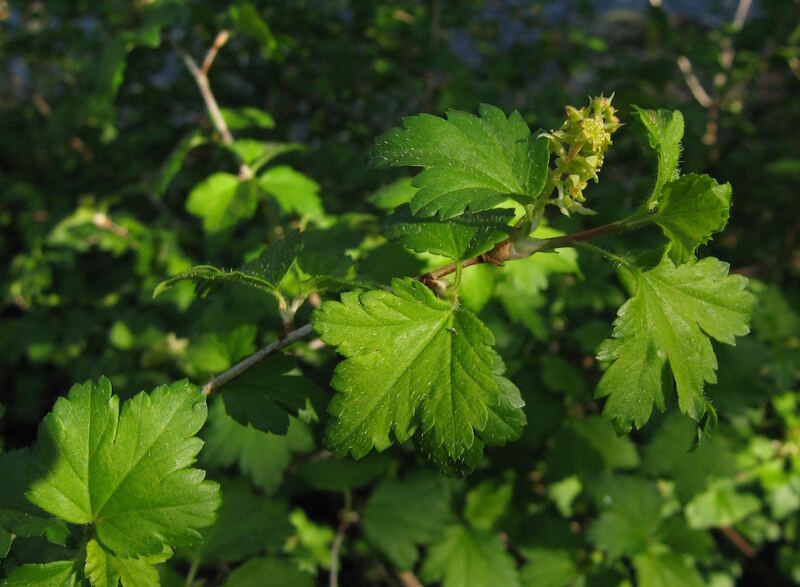 Well-armed – the only Ribes with thorns! Generally makes dense and rather low bushes. Flowers mostly solitary. Fruit the gooseberry! 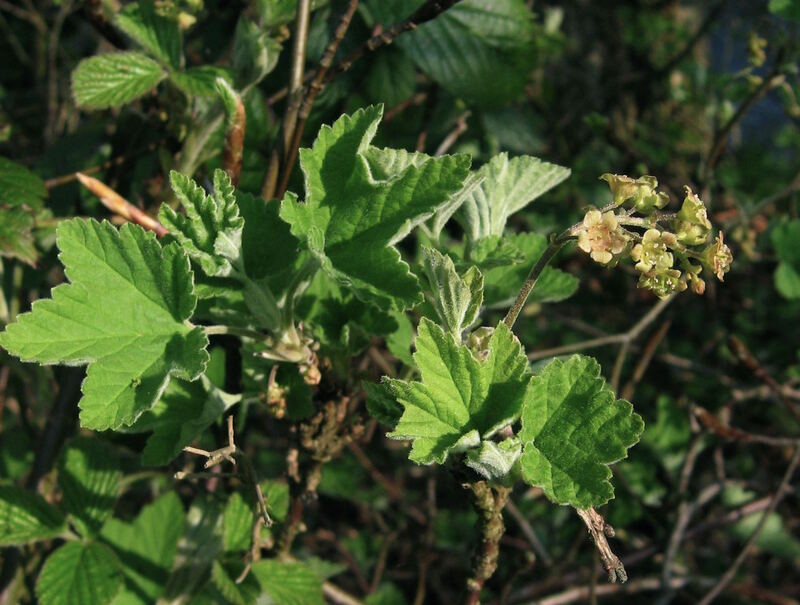 Leaves rather dull green, with two deep incisions, so making three obvious lobes. 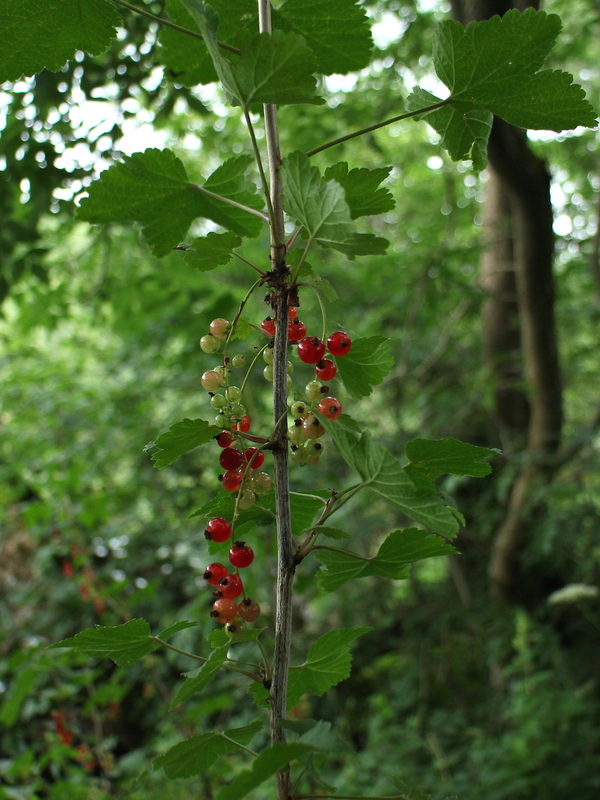 Abundant in hedges and woods, lanesides, riverbanks, etc. 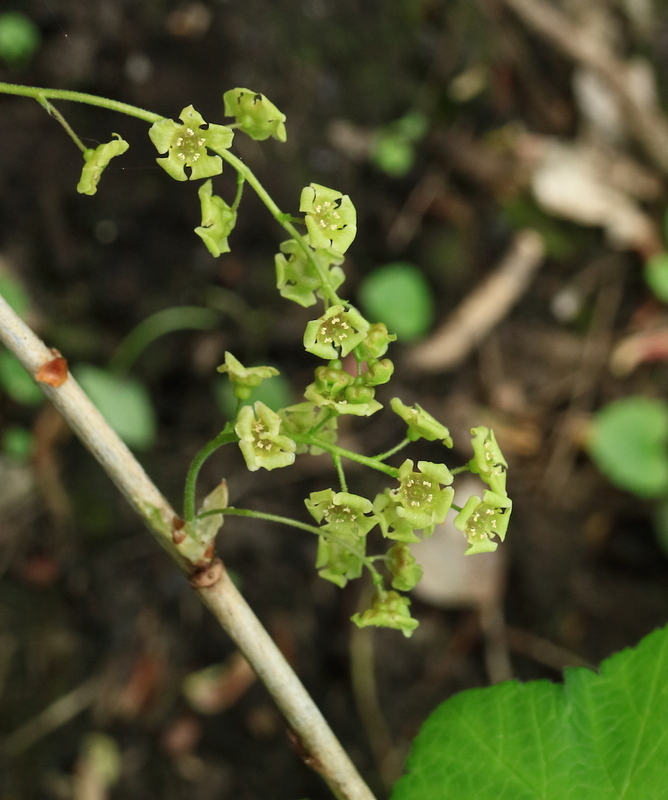 Likely to be native, but the plantings and then self-sowings make it now widespread. 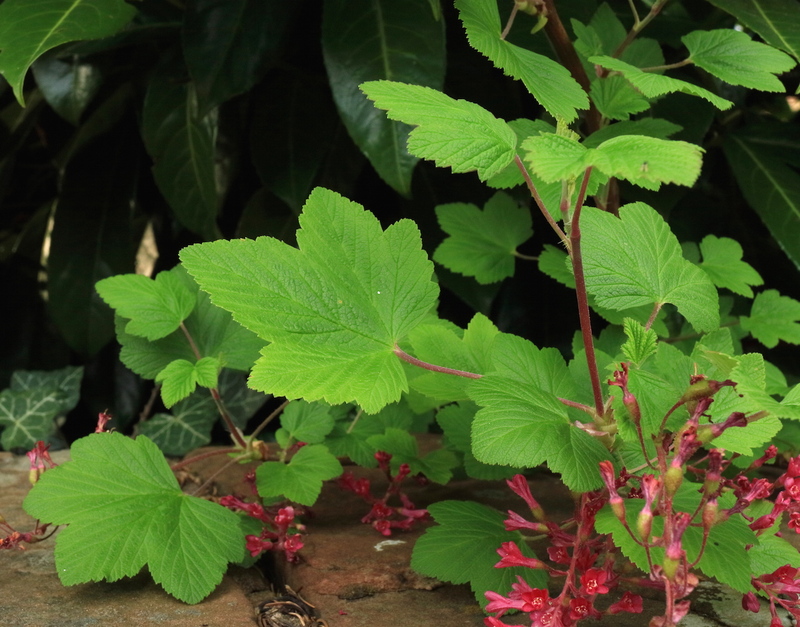 Somewhat more vigorous than the Red Currants (R. rubrum/spicatum), making sprawling open bushes with the shoots up to 2 metres. 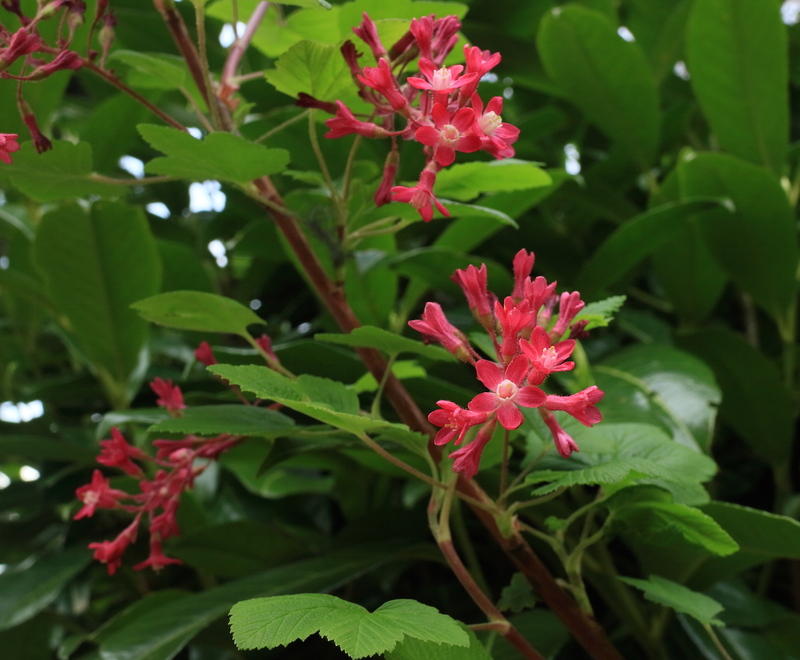 Flowers 5–10 in a rather lax raceme, flushed reddish. Fruit the familiar blackcurrant. 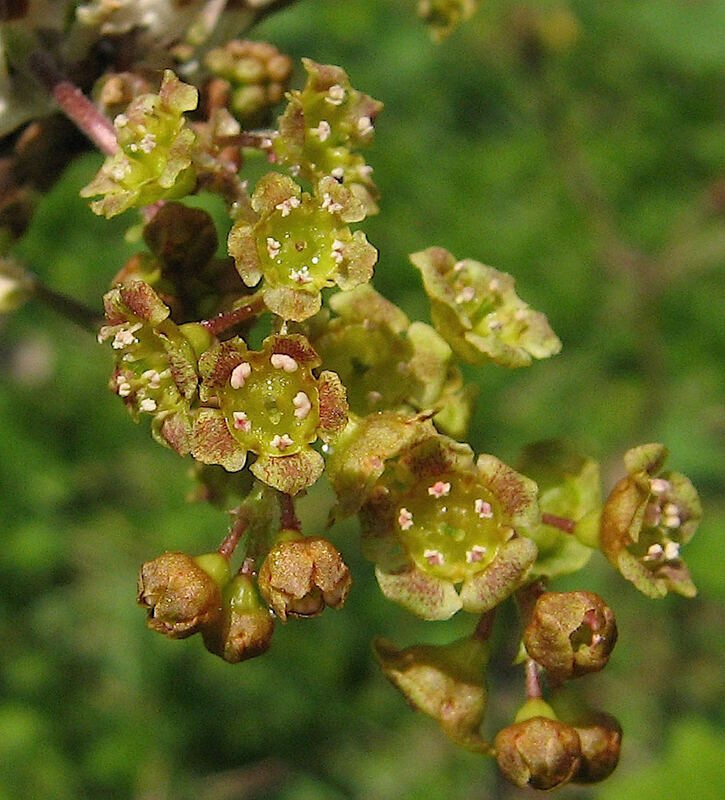 Leaves distinctive: rich green, ‘maple-leaf’ shape, but with the centre lobe much larger than the side-lobes (which ‘stick out sideways’), no incisions between lobes, and the basal lobes often overlapping; distinctively, covered in tiny brown glands, mostly on the lower surface, very fragrant when rubbed. 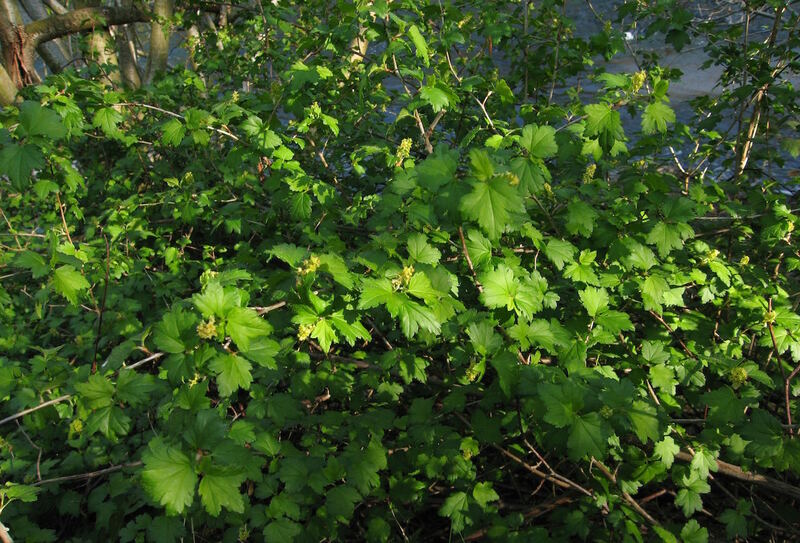 May be native along riverbanks and woods close to the river – a favoured habitat – but also in hedges, lanesides, etc. Quite widespread. 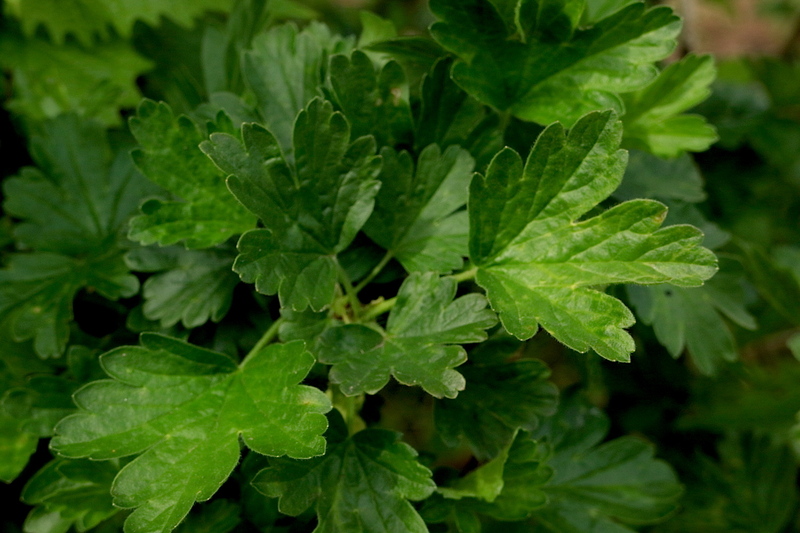 Makes dense patches with many rather slender upright or sprawling branches. 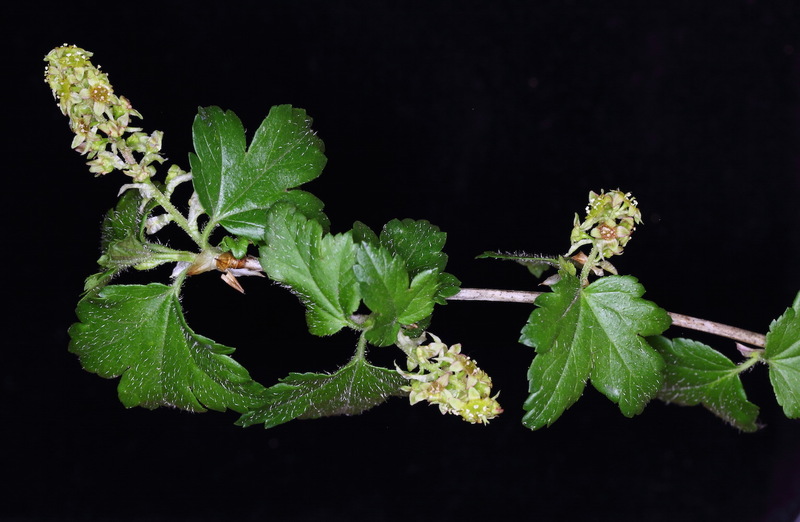 Easy to ID in flower, the tiny-flowered dense ascending racemes very different from the other currants.The leaves are strongly reminiscent of Gooseberry, with three obvious lobes with deep incisions between, thought the middle lobe is longer and pointed. Small red berries. 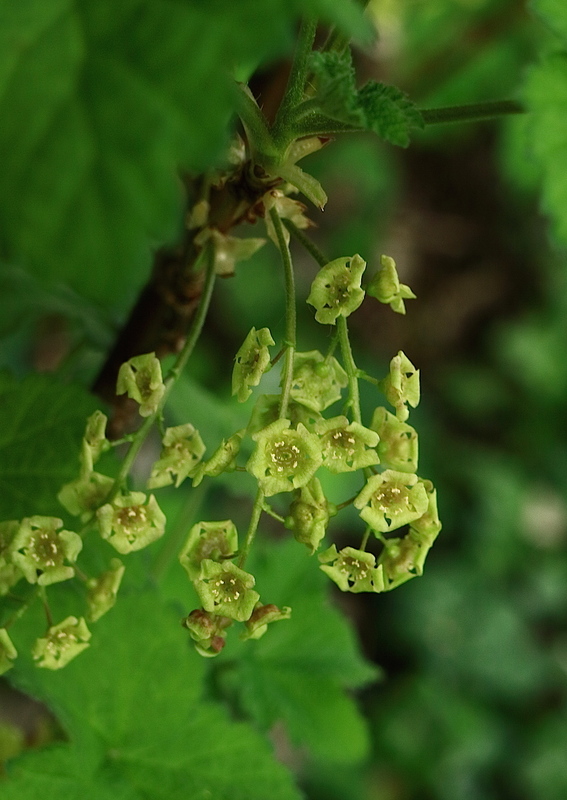 Perhaps a very rare native in rocky woods and streamsides, largely on the limestone, in the southeast of the county. Otherwise an occasional hedging plant, or escape. This and the next (Downy Currant) can be tricky to separate. Both species make open, sparse (and often downright straggly) bushes with a few or many flexuous branches. 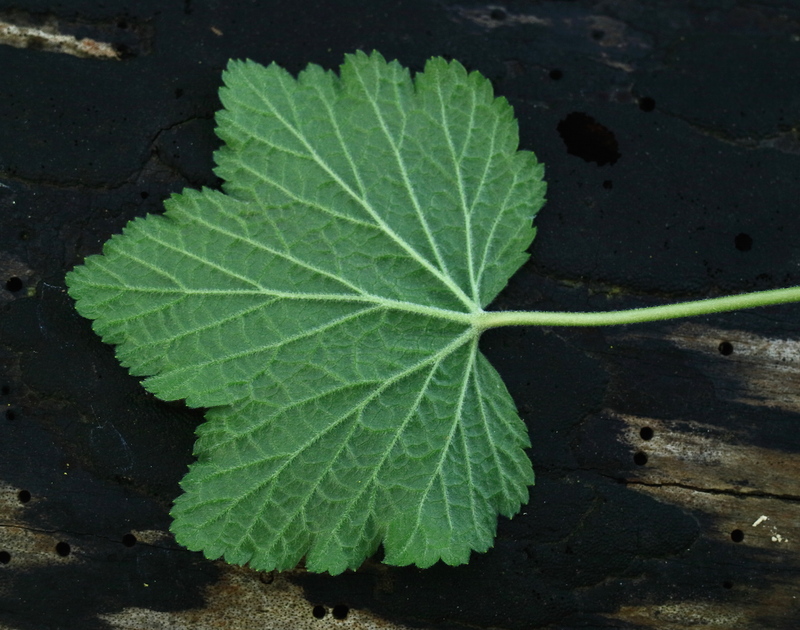 Leaves are the ‘standard’ maple-leaf shapes (but with distinct differences at the base). 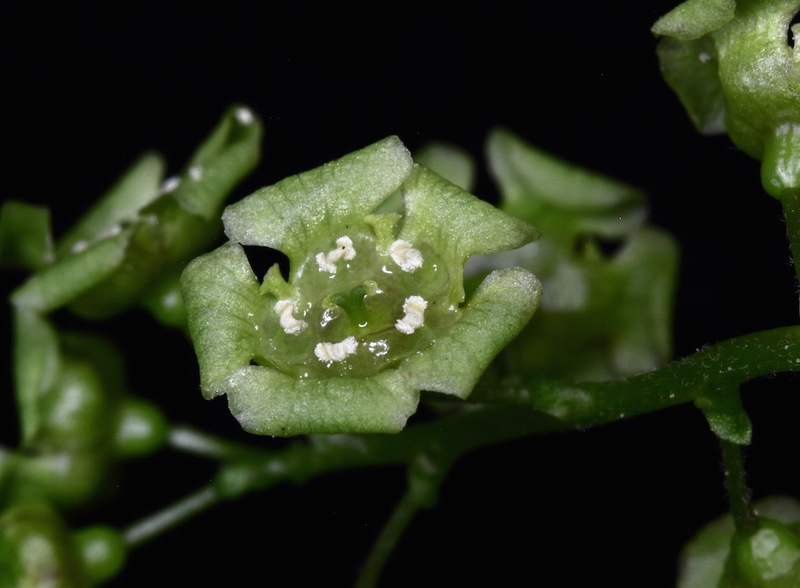 The flowers are in long racemes of up to 20 flowers, the racemes singly or in clusters, spreading, arching or drooping, and superfically very similar to each other. Shiny red berries. 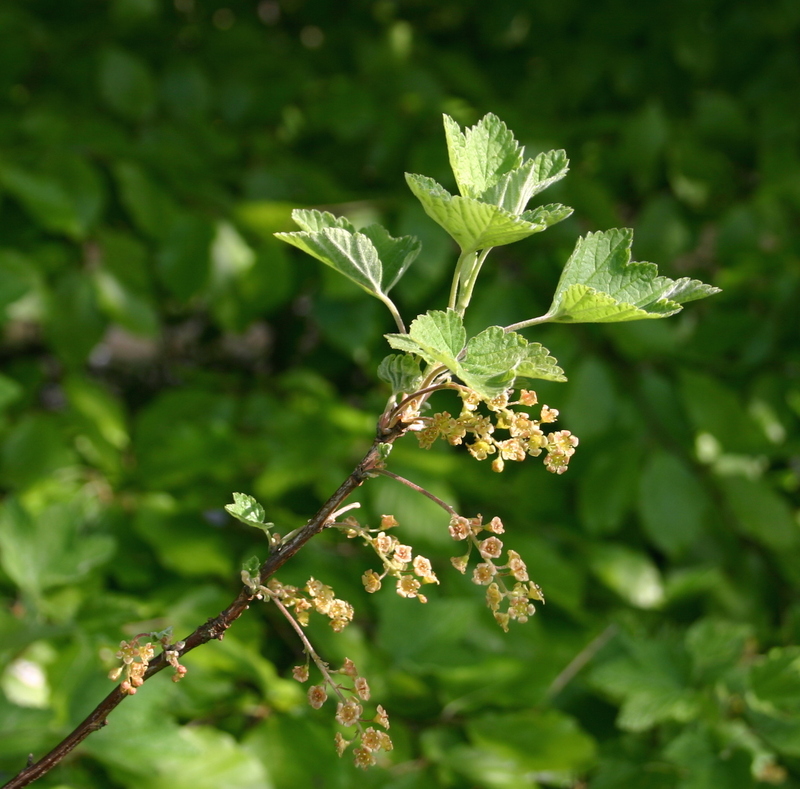 Red Currant is very widespread in hedges, roadside scrub, woodlands, and especially near and by rivers. 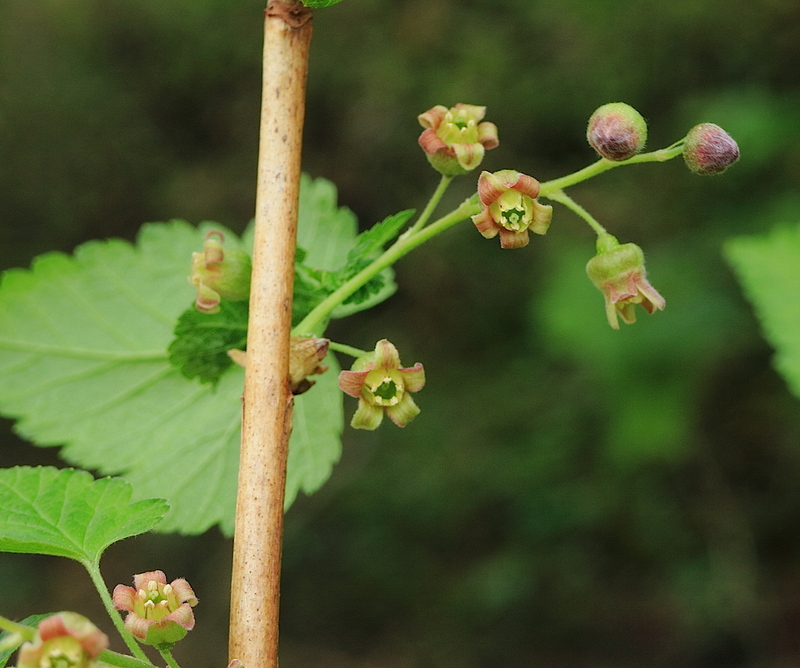 Much as Red Currant. See composite description above, but note differences in the features in the table above. 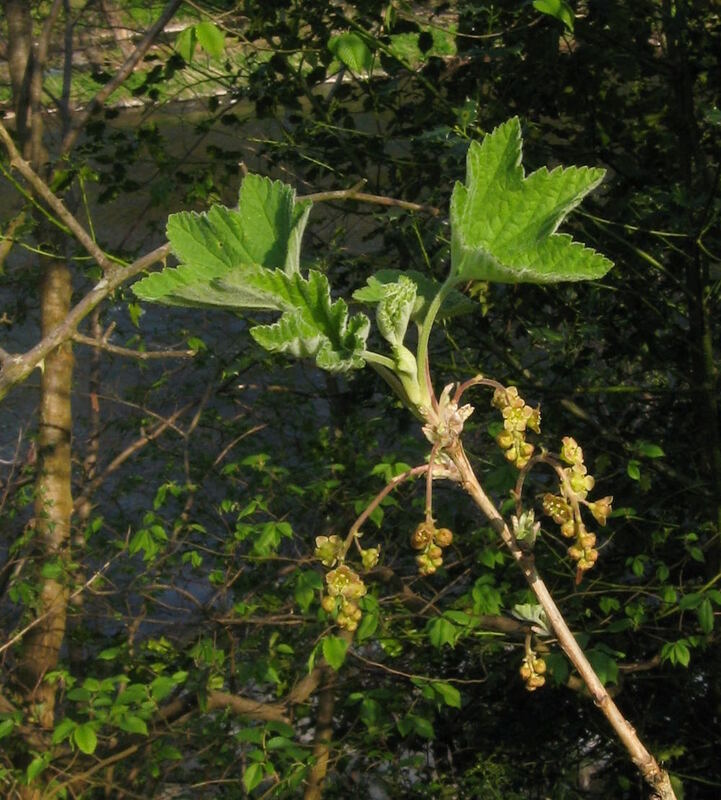 Developing leaves distinctively softly grey-downy, especially underneath (although some forms are less distinct). 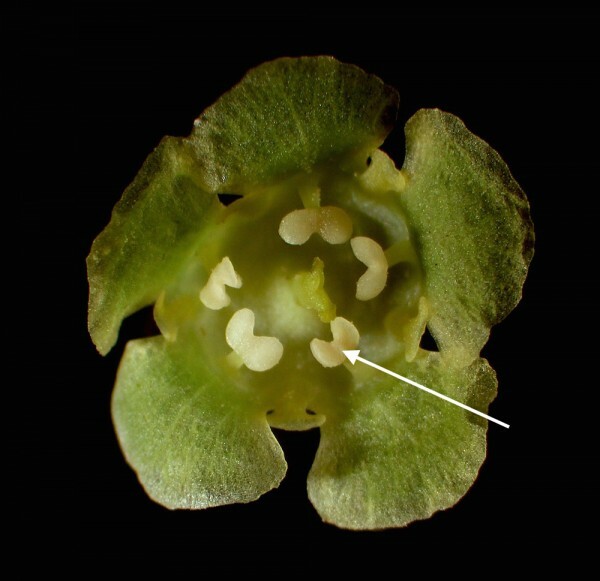 Differences in flower details as in table above, and see photos. 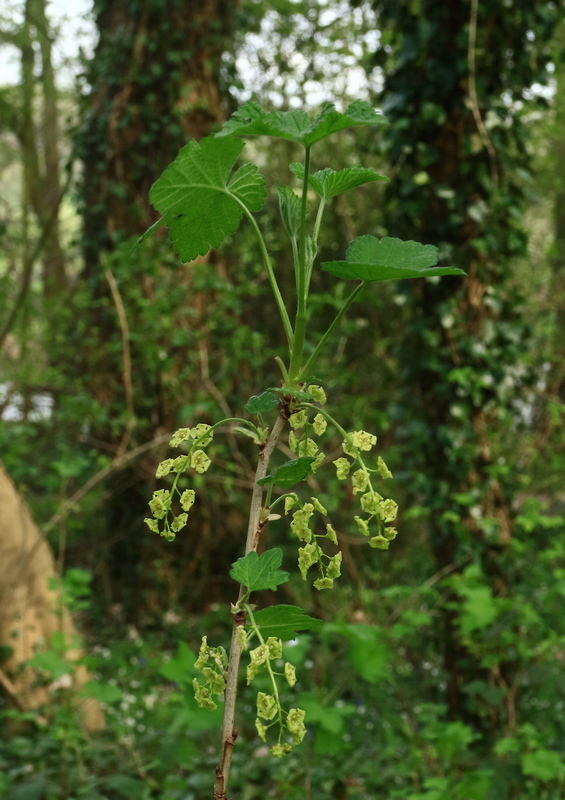 Probably native originally in river valleys in the north of the county, but perhaps also planted at times. Scattered sites along the River Eden and recently discovered on the River Irthing.